The conference room of any organization represents its culture, style, and professionalism. Some organizations such as law offices and large multinational companies opt for a conference room that exudes a traditional, yet contemporary ambiance which is consistent with century-old firms while others go for a sleek, elegant, and trendy appearance to reflect its forward-looking culture. IN today’s 21st century, we are also seeing a continued integration of technology in many aspects of the corporate arena. Investing in modern conference room furniture projects your organization’s culture in a professional manner while simultaneously enhancing productivity with the integration of technology. It’s human nature to form preliminary opinions about new places such as a new school, new employer facility, or new potential business venture office. Having a conference room that visualizes your organization’s mission statement is critical to ensuring visitors, guests, and prospective clients feel comfortable, welcome, and get a solid first impression of your organization. 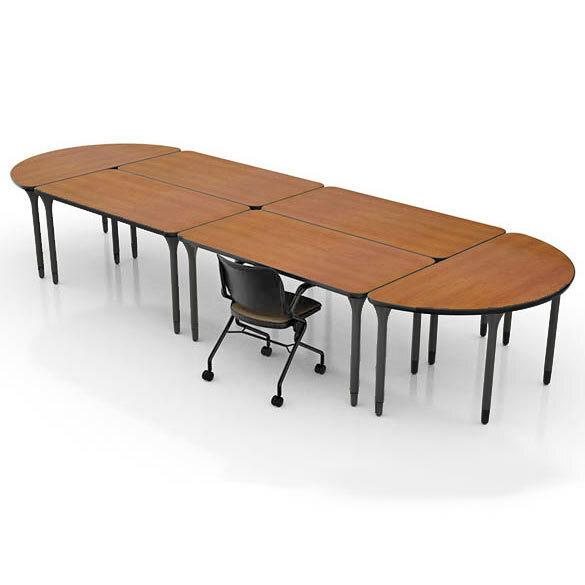 The PL Series Conference Table and Segmented Leather Conference Chair by NDI Office Furniture provides a classic, modern, and universal appearance that can accommodate different corporate cultures, non-profit organizations, and even library study rooms. Imagine participating in a management or department meeting that suddenly stalls because a laptop or tablet that wasn’t charged and the presentation can’t start because someone has to run back to his/her desk to find the AC adapter. Or how about a delayed meeting due to Wi-Fi connectivity problems? When choosing the right conference room furniture, it’s important to also consider power as well as device and network connectivity options to ensure a smooth meeting execution. 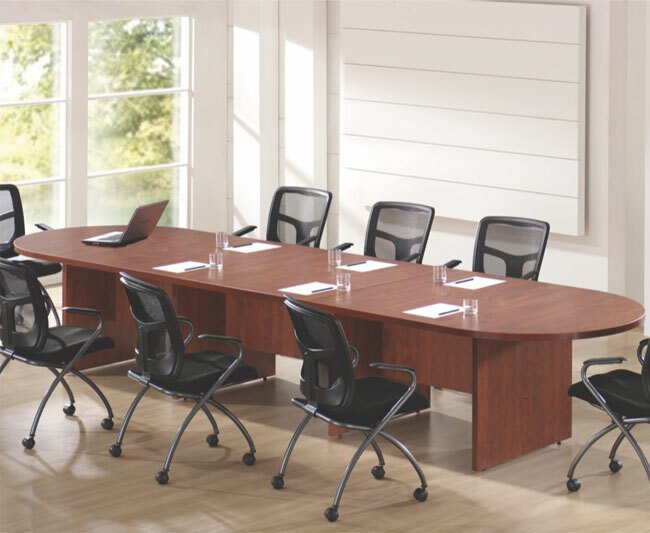 The Prestige Rectangular Conference Table by Regency not only provides device, network, and power connectivity to ensure a productive meeting session, it also presents an elegant and classic oak look that fits perfectly with many corporate cultures. Since we humans are visual creatures, a solid first impression can be the extra push that turns a prospective client into a multi-million dollar account. Fortunately, we have a large collection of Conference Room Tables and Chairs to choose from and we invite you to contact us to help you pick out the best solution for your organization! Great article. True and agree about conference room and conference room furniture. Thanks for sharing this post. Would help a lot.